This is a question I ask myself often when I have let my cleaning schedule slide, and it becomes overwhelming and I just don’t know where to start. I have lived on my own since I was 17 and during this time I have cleaned, I did clean before I lived on my own but it wasn’t my responsibility. It can just sometimes feel like a burden, something that I want to rebel against, maybe even have a temper tantrum stamping my feet and demanding never to clean again. Yet, there are other times where I love the idea of cleaning, making my home sparkle; it just depends on my current mood. I clean because I don’t want to live in a dirty home which is full of germs and dirt that can cause ill-health to me or any members of my family. I am a germ phobic, this does cause some issues in our home, the idea of these little germs growing, and breeding makes my skin crawl. I clean to get rid of these germs! It is my home and as an adult, it is just one of those responsibilities that I have to attend to. It is a part of adulthood; you clean and look after your home. You teach your children the skills they will need in adulthood of being able to cook and clean to look after themselves. Pride is an important part of why I clean; I need to feel the pride in my home, to feel proud when I walk through the door of my home. If my home is dirty when I enter, it can affect how I feel and this can have a negative impact on my mood. Cleaning helps to keep my family healthy, if someone gets a bug then my cleaning goes into overdrive in the necessity to reduce the risk of cross infection. However, by cleaning, it reduces the risk of these bugs living in the home and having the chance to breed and grow to the point where they become a problem for the health of the family. Cleaning is a way to stay in control of the home, it becomes a part of your daily or weekly routines and it keeps daily life under control. If you let this slip, it can have a negative impact on how you feel and it can quickly become overwhelming as to where to begin to rescue your home from the dirt and the germs that can quickly take over. Cleaning is a mood improver, it means that you are moving and having some form of exercise and this can stimulate your body to produce endorphins making you feel good on the inside too. The better you feel the more you are able to do. Cleaning is important for not just your health but the health of others that enter your home. If you have trash piled high and you’ve an accident in the home, how are the emergency services supposed to get to you and help you if they can’t walk around your home? This is a health and safety risk and it might be too great to allow them to save you. Therefore, it is important that we keep our homes clean and tidy; it is a part of being an adult and taking responsibility of the cleanliness of your home. It is about teaching our children about the pride of good housekeeping. Yes, there are different standards of clean and it is about feeling happy with the standard in your home. Having a clean & tidy home gives a lot of satisfaction. Your last point is also a very important one, too. Perhaps we should keep that thought at the front of our minds! Also, children / teenagers feel self conscious to bring friends home to a dirty home. 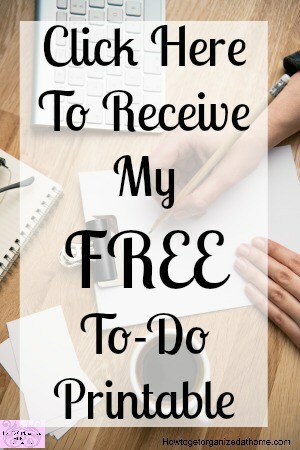 A clean and clutter free house helps me feel less stressed! 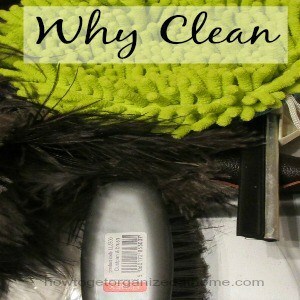 I clean for so many of the same reasons!! Thanks for linking up with Tuesday Talk. Thanks for your words of wisdom, it is true that those bad days haunt me, I love the look of a clean bathroom, kitchen even front door it makes me feel better too! It is surprising how good I feel when I do a real clean, not just a quick wipe down of surfaces.